The North American natural gas market will be well supplied this winter due to robust U.S. production, steady Canadian production and ample natural gas storage volumes. Normal temperatures are forecast for most of Canada and the U.S. this winter. Above-normal temperatures are expected in the southern U.S. and Northeast states and provinces, while the Canadian west coast and much of Alberta is forecast to have below-normal temperatures. Unlike last year, increased natural gas prices in 2013 have resulted in a decrease in coal-to-gas switching in the U.S. power generation sector. The U.S. Energy Information Administration (EIA) expects lower gas demand for power generation in 2013 and 2014 compared to 2012. Moderately higher prices are forecast this winter at Intra-Alberta and Henry Hub and Intra-Alberta prices will continue to trade at a discount to Dawn and Henry Hub prices. The heating season in North America takes place from 1 November to 31 March. During this time, natural gas demand increases in the residential and commercial sectors in response to colder weather. The predominant factors expected to influence natural gas prices over the coming winter season are ample gas storage levels in Canada and the U.S., steady production growth in the U.S., the level of gas demand for power generation, and the pace of economic recovery and growth in both Canada and the U.S.
Last winter, Intra-Alberta prices averaged $3.06/ gigajoule (GJ) while Henry Hub prices averaged US$3.47 per million British thermal units (MMBtu). After increasing through the winter and into spring 2013, gas prices decreased during the summer to hit a low of $2.09 per GJ in Alberta in September 2013. High storage levels and robust U.S. supply growth were the primary factors that led to Alberta prices declining from a peak of $3.52 per GJ in April 2013. Figure 1 illustrates historical prices and futures prices for natural gas at the Intra-Alberta, Dawn (Ontario), and Henry Hub market hubs. Futures prices indicate slightly increased gas prices this winter compared to last at Intra-Alberta and Henry Hub, with an average price of $3.14 per GJ (US$3.17 per MMBtu) and US$3.49 per MMBtu respectively. Prices at the Dawn Hub are expected to be comparable to last winter, with an average price of US$3.66 per MMBtu. Natural gas production in Canada and the U.S. averaged 79 billion cubic feet (Bcf) per day through August 2013 and this level is projected to remain steady for the next six months, despite decreasing drilling activity. For the three months ended August 2013, there was an average of 92 active rigs active in Canada, an increase of 35 per cent from the same period last year. In the U.S., gas directed drilling activity has stayed at or near record low levels averaging 388 active rigs for the first nine months of 2013, a 38 per cent drop year-over-year. U.S. production continues to increase despite falling rig counts. Year to date production averaged 66 Bcf per day which is an increase of three per cent over last year. Production growth in the U.S has slowed, however, to just three per cent in each of the last two years. This could be a sign that increases in rig efficiency seen in recent years are no longer able to fully offset overall activity decline. Canadian production has declined to around 13.2 Bcf per day this year, a decrease of two per cent from the same period last year. Imports of liquefied natural gas (LNG) into Canada and the U.S. are anticipated to average 0.5 Bcf per day over the winter months. The small volume of LNG imports is reflective of robust North American natural gas production and low prices in North America relative to markets overseas. Last winter, LNG imports received at Canaport’s Saint John, New Brunswick import terminal averaged 0.25 Bcf per day. Given the significantly higher prices in overseas markets, LNG is anticipated to be imported primarily to supply periods of peak demand such as cold snaps in pipeline capacity-constrained U.S. Northeast markets. During these periods of high demand, send-out of regasified LNG from the Canaport facility may be as high as 1 Bcf per day. 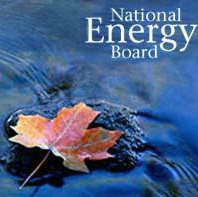 Demand for natural gas in Canada is at its peak during winter months as home heating requirements increase. Total demand for natural gas is assumed to follow the seasonal average for the next six months in Canada and the U.S. The higher natural gas prices forecast for this winter may make gas less competitive than coal in some power markets, and consumption of natural gas by the power generation sector is expected to decrease over the winter and into 2014. The Energy Information Administration (EIA) expects an 11.5 per cent decrease in gas consumption in the U.S. power generation sector in 2013 relative to 2012 and a 2.4 per cent decrease from 2013 to 2014. Environment Canada and the U.S. National Oceanic and Atmospheric Administration (NOAA) are both forecasting normal winter temperatures for major parts of North America. Above-normal winter temperatures are forecast for southern U.S. states and Northeastern states and provinces, while below-normal temperatures are forecast for the west coast of Canada. January to March is typically when the coldest winter temperatures are recorded and natural gas prices often increase accordingly, especially in pipeline constrained U.S. Northeast regions. By early November, natural gas inventories in North America stood at 4.53 trillion cubic feet (Tcf). This is 0.11 Tcf lower than at the same time last year and three per cent (0.12 Tcf) above the five-year average. Last year’s storage volume reached a record high of 4.64 Tcf, achieved in early November. Once the heating season begins, weather variability such as cold snaps or unseasonably warm temperatures can impact the rate at which storage volumes are withdrawn. This will cause gas prices to move up or down accordingly. Figure 2 illustrates volumes of natural gas in storage in Canada and the U.S. this year relative to volumes recorded last year and over the five-year range. Overall, the natural gas market in Canada and the U.S. are well supplied, with futures prices anticipated to be higher than last winter. The Intra-Alberta futures price may be more volatile than normal this winter, and is expected to average between $2.90 and $3.40 per GJ, up from the lows seen during the summer of 2013. Prices at the Dawn hub in Ontario are projected to average between US$3.40 and $3.90 per MMBtu. Natural gas prices in the Maritimes and New England markets will continue to display price volatility due to possible supply constraints and pipeline bottlenecks, particularly during peak demand periods. During bouts of cold weather, prices may reach similarly high levels as seen last year. The average Henry Hub futures price is projected to average between US$3.25 and $3.75 per MMBtu. A WordPress Commenter on Will Western Canadian natural gas producers be affected by U.S. shale production?